Zebra Soft Infant Z-Band Direct Wristband Kit - 2' x 7.' Direct thermal Polypropylene with soft nylon lining and a t-shaped adjustable design wristband, White, adhesive tamper-evident tab for securement. 275 labels/roll, single roll. 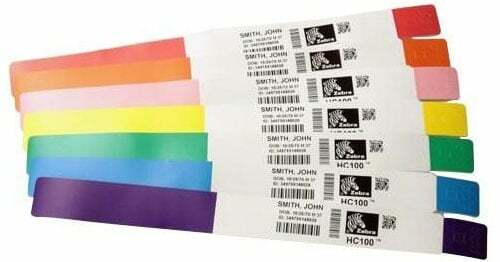 The Zebra 10007746K-R is also known as 10007746K-R	or 10007746KR	.